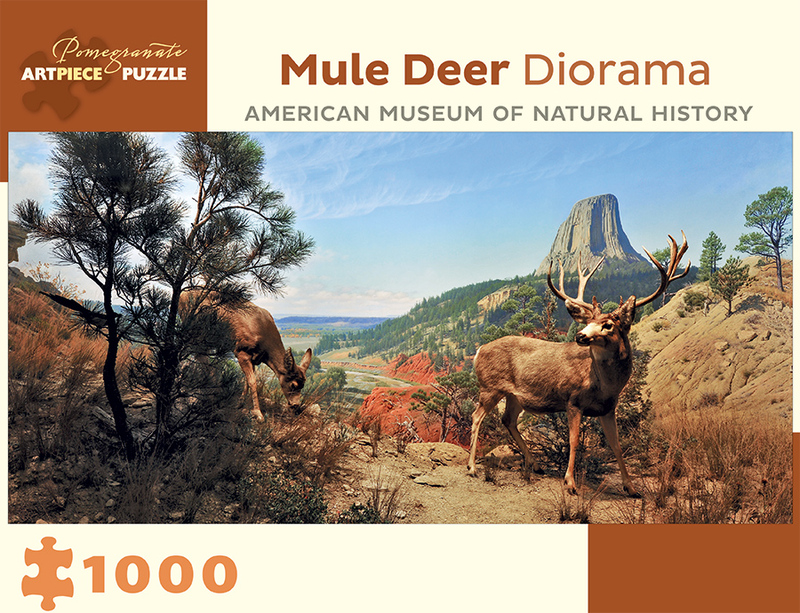 The large, mule-like ears of these deer inspired western explorer William Clark, in 1806, to give these animals their name. Unlike white-tailed deer, which run away fast and fluidly when alarmed, mule deer (Odocoileus hemionus) escape by “stotting”—bounding with stiff-legged jumps. They can jump over hurdles four to six feet high and twenty-six feet wide to escape predators. 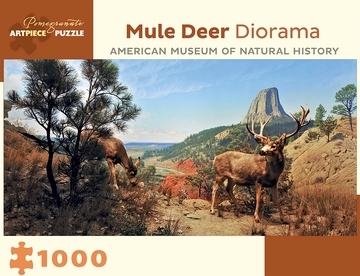 Mule deer live across western North America. Seen in the background rising solidly over the soft, broken red sandstone of the Belle Fourche River Valley is Devils Tower National Monument, which has inspired awe for generations.